In this Holiday Season, my motto is : You should not live merely in pursuit of your own happiness. “What Would Santa Like For Christmas? Christmas Home Decoration” article based on this idea. Following the foot prints of my motto, how should I show my appreciation to local/small business owners and entrepreneurs to whom I am always admired from their creative mind and hard work. To make my article naif and to keep my followers entertained is always my aim. 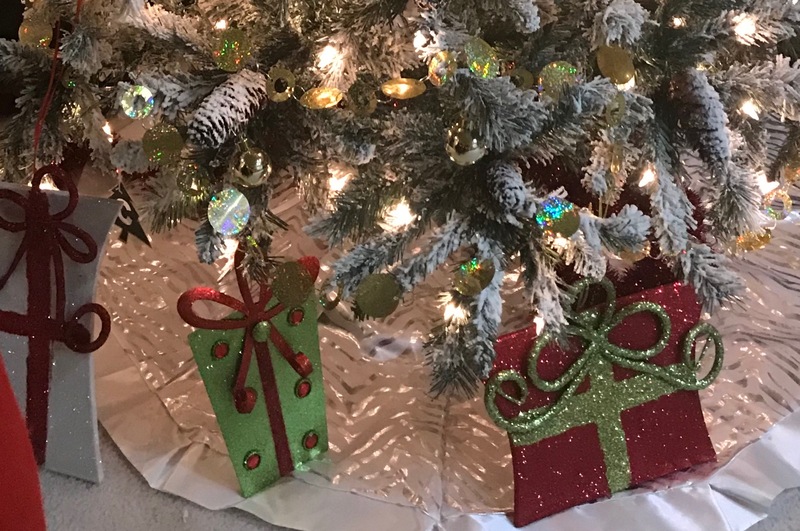 This time I would like to add some little contest and I think, collecting Christmas Home Decoration pictures from local/small business owner/entrepreneurs would be great. 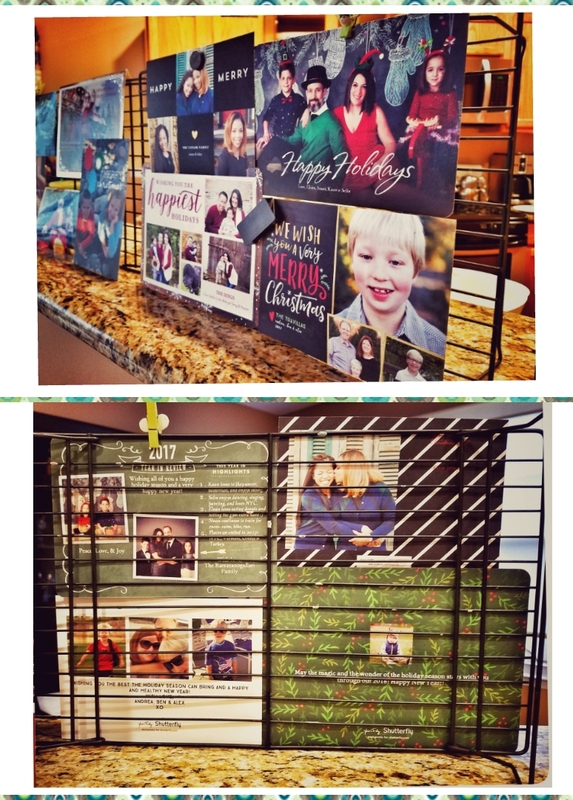 I sent them an invitation as ” Pick your best Christmas Home Decoration picture which includes simple ideas and great designs, I will promote you and if you will be winner by my followers , you have been awarded with a gift card” . Thank you for all participants. The winner will be announced at New Year Eve. I will make the winner’s picture my feature image. All the answers are under each picture, I also would like add my detail to pictures too. About the pictures: I think it is going to be fair enough If I would like share the pictures with receiving order. Please pick one and help me recognize the winner. Picture Credit : Ayse Christo Photography. Cookie Rack Christmas Card Holder. Imagination machines say that Santa needs to see the friendship to visit any happy house . My thoughts: Such a great idea to use the cookie rack as a card holder. I always miss to read the back of the card and I always ask myself how to display Christmas Cards neatly. And If I were Santa I will give high five to Santa Cecilia Granite Countertop. Picture Credit: Mobile Flower. Christmas Tree Decoration Ideas. 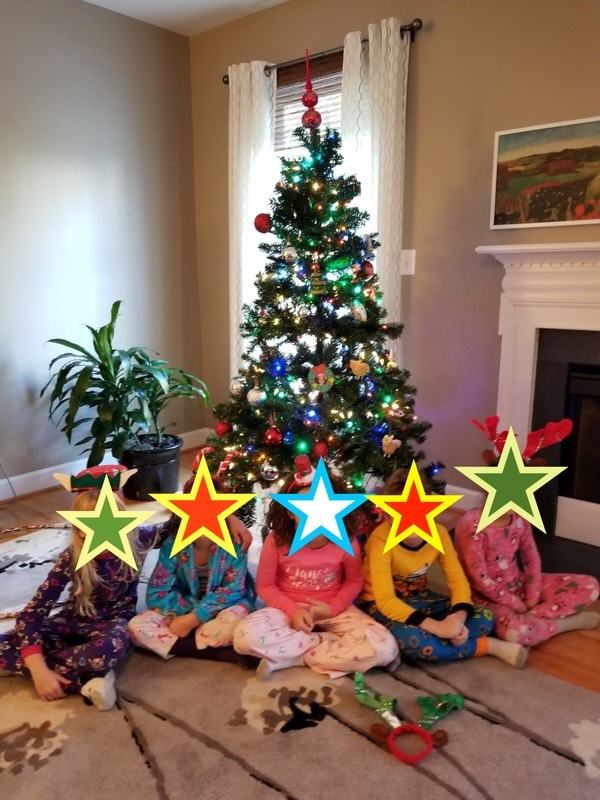 Imagination Machines say that Santa look for children in a happy house to stop by , especially the children with pj’s…. I totally agree with them. My favorite is the mess free artificial Christmas Tree and Christmas Tree ornaments and Christmas Tree Topping. Picture Credit: Amanda Boettcher. Modern Christmas Living Room Decoration Ideas. Imagination machines wonder if this is the inside of a Real Ginger Bread House or Candy Cane House or not. If Santa sees the the best colors of Christmas ( red and white ) he understands that is the happy house and he will stay in there forever. 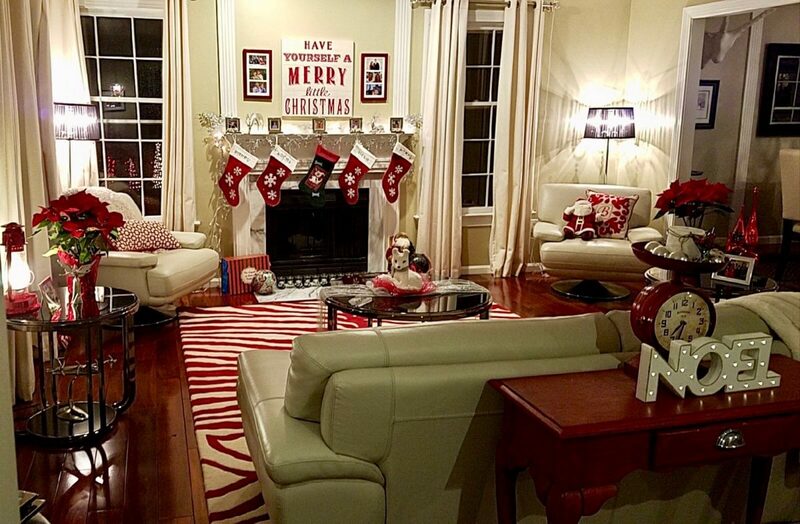 For me it is very warm and charming modern looking Christmas Living Room Decoration. Picture Credit: LE CAKE Boutique. Santa Cookies needs to transform to Santa Cupcakes. Kid’s quote: “Without delicious cup cakes Santa won’t be stop for a happy house , snowflakes give the best comfort to him, he feels himself at home. Mom, can we order those cupcakes for next year ? ” . 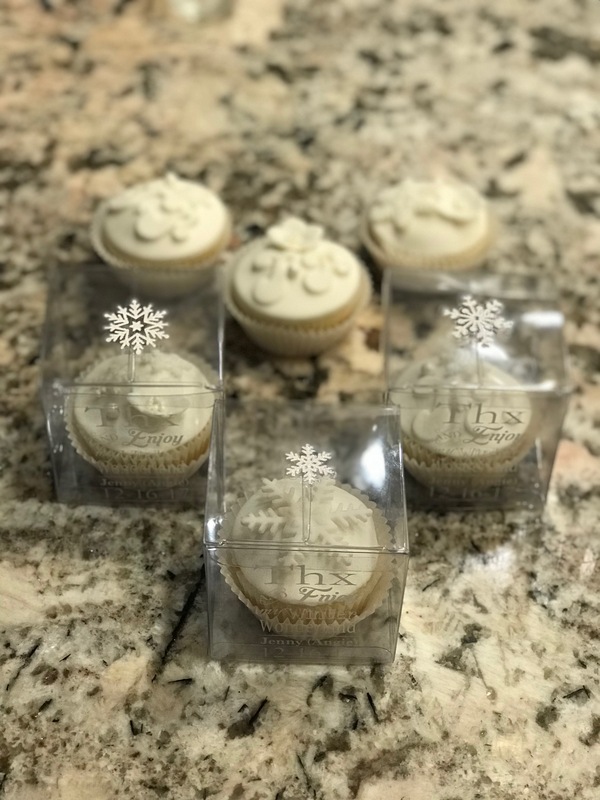 My opinion goes for the delicately picked ingredients and fine and pretty look of snow flower and snowflake cupcake decoration. Delicatus Brown Granite Countertop is a big bonus to show the North Pole hospitality. Picture Credit: Istanbul Stories. Christmas Gift Wrapping Decoration. Imagination machines idea is : Gifts for Santa for his happy house visit. Elf did great job! My curiosity , if it has handmade unique gifts are hidden in these beautiful boxes or not. Picture Credit: Sandalyeci USA. 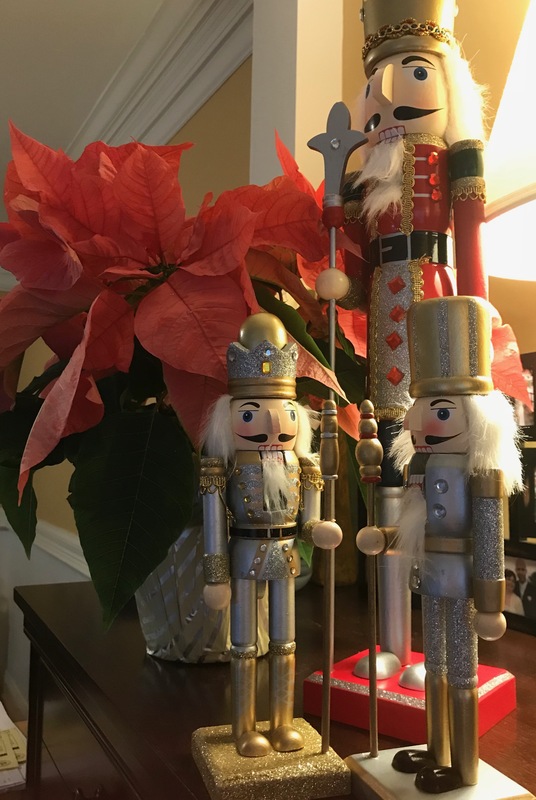 Nutcracker Decoration and Poinsettia. One of kids favorite is nutcrackers and they really like to crack hazelnut with those . Imagination machines think that Santa likes all kind of NUTS! Why not? My opinion is artisan design of wooden pieces just like best quality artisan chair what Sandalyeci USA is manufactured. Beside this, Poinsettia is always the best choice for Christmas Home Decoration. Picture Credit: Turkish Coffee Lady. Turkish Coffee at Tyson’s Corner Center (Tyson’s I ). Kids are all upset, they would like to taste is asap even a sip counts. 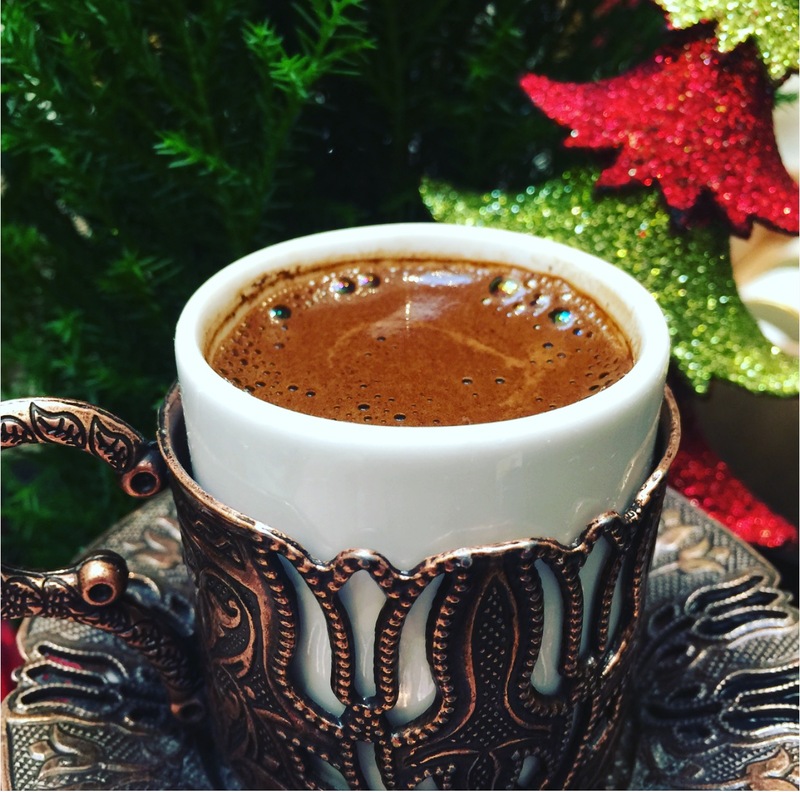 Since Santa is from Anatolia, kids are convinced that Santa is an addicted Turkish Coffee Drinker… For me the best relaxation in the world. Give it a try at Tyson’s Corner and feel how your heart is melting …Next time decorate your home with a taste of Turkey .